Yesterday a woman was killed when she tried to enter an elevator that suddenly shot upwards out-of-control. Just a week earlier, a woman was crushed by an elevator as she tried to crawl out of one that was in-between floors. Are you now terrified of elevators? Don't be. They're way safer than stairs. 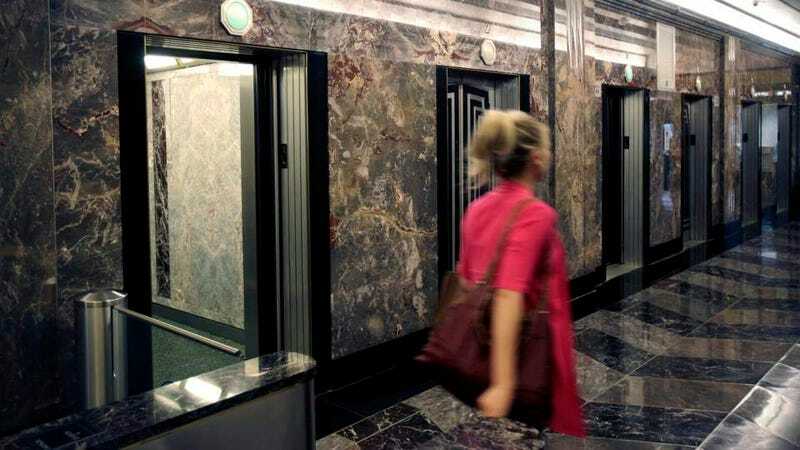 Elevators carry people 18 billion times per year in the United States, which results in 27 deaths on averge annually. The Los Angeles Times estimates the per-trip elevator fatality rate to be 0.00000015 percent—and since elevator mechanics are the most at risk, the rate is lower for a regular person. So elevate yourselves sans souci. But watch out while you're climbing the stairs. They kill about 1,600 people every year.